We have neither forgotten nor given up. We know that if GCC listens to the public it makes better decisions (it dropped fracking from the minerals plan recently after public intervention). Let's remind our representatives that we will not be ignored. 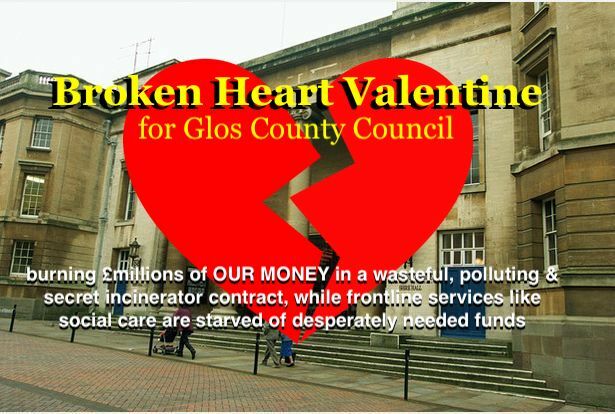 If GCC is unwilling or unable to implement the necessary changes then we, the undersigned, believe that the Secretary of State for Communities and Local Government should use his powers of intervention to place Gloucestershire County Council in Special Measures." Bring your friends - and a broken heart banner!